I am a Consultant Rheumatologist and Honorary Professor of Rheumatology, University of Exeter Medical School, and Plymouth Peninsula Medical and Dental College. I have been involved throughout my career in various initiatives to promote priority for the various musculoskeletal conditions and to improve their management by raising awareness of their impact, promoting education and research, and setting standards for prevention and treatment. This has been by working together with all professions, disciplines and patient organisations at a national, European and international level. I have held executive roles in National Osteoporosis Society 1987-2002 (including treasurer and chair); BLAR/ARMA 1994-2005 (including leading regional groups); EULAR 1994-2007 (including chair of education committee and international liaison officer); president UEMS 2001-06; Bone and Joint Decade 1998 – now (including treasurer and chair). I have also led two EU projects to raise standards of care – European Bone and Joint Strategies Project and European Musculoskeletal Surveillance and Information network. In these roles I have worked with Department of Health, the EU, WHO Europe and WHO International. I edit the serial Best Practice and Research Clinical Rheumatology which provides an evidence-based update on the management of musculoskeletal conditions. In addition I am Clinical Director of the NHS National Institute of Health Research Clinical Research Network Southwest Peninsula. Through this I ensure people wherever they live in the region can participate in clinical research so they have the option of the latest and innovative treatments. A culture of research and innovation also improves of the overall quality of care. Matthew Bennett is the President of British Chiropractic Association as well as a practising chiropractor with 30 years’ experience treating musculoskeletal conditions. He works in a multidisciplinary practice alongside physiotherapists in Brighton and has a special interest in the conservative management of back pain. Matthew is committed to raising the awareness of MSK conditions amongst policy makers and was previously a delegate to the WHO’s World Health Assembly representing the World Federation of Chiropractors. He is the current UK representative to the European Chiropractors Union. He has worked on the panel of Brighton Integrated Care Service’s manual therapy service redesign team bringing best practice and evidence based care to MSK conditions, particularly back pain. Matthew was the previous director of new graduate training for the Royal College of Chiropractors and still acts as a tutor and trainer. Emma qualified from Southampton University in 1995 and after a career in the NHS as a musculoskeletal podiatrist, is now a lecturer in podiatry at Plymouth University. Emma’s research interests include the effects of high heels on gait and posture and the effects of prolonged running on the biomechanics of the foot and ankle. 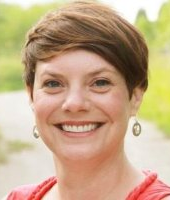 She still maintains a private practice in a multi-disciplinary team and her clinical interests are similarly focused on musculoskeletal lower limb conditions. 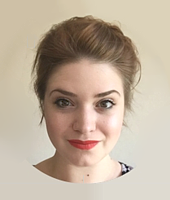 Emma co-leads MSK:UK, the largest College of Podiatry special advisory group, and in 2017 was lead author of a body of evidence presented to Parliament during the high heels debate, iterating the impact of footwear on occupational health. Emma is delighted to be elected to the ARMA board of trustees and hopes to add a meaningful contribution. Lily is Head of Philanthropy, Trusts and Special Events at Barnardo’s. 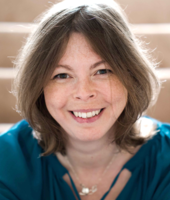 Previously, she was Director of Marketing, Fundraising and Commerce at inclusive theatre company Chickenshed, leading on strategy and delivery across fundraising, marketing, communications and commercial development. In her career, Lily helped to establish the first Innovation team at Marie Curie and has previously held senior-level positions within top commercial brands. Chris is a Director in the Risk Advisory practice at Deloitte with a focus on the provision of Internal Audit, Risk Management and other control and assurance related services to the Corporate Sector – with a sector focus on Infrastructure, Services & Real Estate (ISRE). He started his career as an external auditor and is a qualified accountant (FCA – Fellow of the Institute of Chartered Accountants in England and Wales). Shantel was born in Canada and has been living and working in the UK since 2004. She is the CEO of Arthritis Action, where she has worked since the Autumn 2014. Through a self-management approach, Arthritis Action is a membership organisation that empowers people with arthritis to manage their condition and reduce the need for medical intervention. Shantel moved from the corporate sector to the charity sector nine years ago and hasn’t looked back. She enjoys working directly with members of a community. She has a keen interest in health and membership organisations, and also brings experience in leadership, strategic, change and volunteer management to the Board. 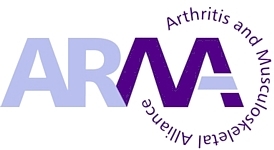 Arthritis Action became a member of ARMA in 2014. Shantel believes strongly in collaboration and is looking forward to working with other member organisations to have one voice through ARMA. She feels that ARMA is ideally positioned to increase awareness of MSK disorders in the UK. 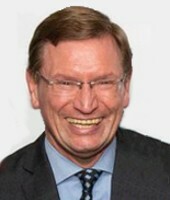 John Skinner qualified at King’s College Hospital School of Medicine in 1988. He trained in Norwich and London. He was appointed a senior lecturer at the Institute of Orthopaedics in 1999 and also a consultant at the Royal National Orthopaedic Hospital. His surgical practice is divided between bone and soft tissue tumours and hip and knee surgery. He has a large practice in revision joint replacements. His research interests have included DVT prevention, aspects of reconstruction and implant design after tumour surgery. 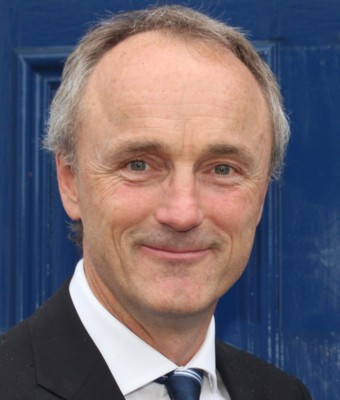 He chairs the Joint BOA, NJR, BHS and MHRA committee advising on aspects of metal bearing hips; and has been the advisor to the British Hip Society and the BOA on metal hips for the last 5 years. 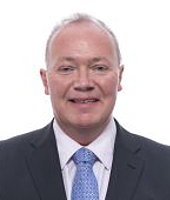 John is a co-director of the London Implant Retrieval Centre. He is the president of the British Hip Society. In 2004 he was awarded the prestigious ABC travelling fellowship to the United States of America. At the RNOH Stanmore he chairs the Infection Control Committee and the Medical Staff Committee. Ruth Sephton is a Consultant Physiotherapist who has specialised in the management of musculoskeletal (MSK) conditions for over 30 years. She is currently employed at North West Boroughs Healthcare NHS Foundation Trust leading a multidisciplinary community MSK service. Ruth has a keen interest in education and has extensive experience of delivering post-graduate education in advanced MSK practice. She also strives to ensure research is implemented in practice and has published research in the MSK field. Ruth is a Fellow of the Musculoskeletal Association of Physiotherapists (MACP) and a Versus Arthritis MSK Champion. Over the course of her career Ruth has worked in service transformation, business development and as Assistant Clinical Director at the Trust. She has worked on projects to improve MSK services with the CSP, Advancing Quality Alliance, NHS England and Public Health England. 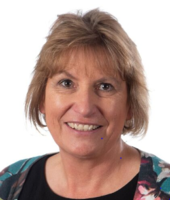 Ruth is passionate about promoting high quality care for people with MSK conditions and is delighted to be joining the ARMA board of trustees. A sector leader with substantial expertise in delivering and managing campaigns in both the third sector and corporate fields. He currently leads CIRIA, a major not-for-profit membership organisation which aims to improve performance in the construction and built environment sectors. Dirk has significant experience in successfully delivering communications and stakeholder engagement campaigns including sponsorship creation and fundraising, working for more than 25 years in the private and not-for-profit sectors in the UK. He previously led the Confederation of Timber Industries as Chief Executive and worked for Centrica plc and Liverpool John Moores University. Dirk started his career as a journalist and is a Fellow of the Chartered Institute of Public Relations (FCIPR). 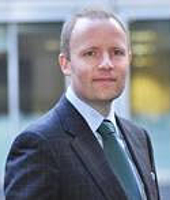 Dirk gained an MBA with distinction at the University of Bradford in 2000. Louise is a GP with a special interest in Rheumatology and Musculoskeletal Medicine, she is also the President of the Primary Care Rheumatology Society. Louise represents the views of Primary Care to ARMA. 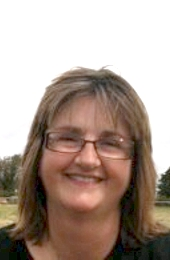 Louise has 16 years of experience in Rheumatology and has been a GP for twenty years. For four years she was the Medical Editor of Hands On, for arthritisresearchuk; this is an educational publication sent to every GP in the UK and a member of their publications committee. Louise was part of the Group who developed the NICE Guidelines for Rheumatoid Arthritis which was released in 2009. Louise has experience of Service Development and Change, being one of the lead players in developing a Community Rheumatology Service in Telford, she brings enthusiasm, vision and commitment to the Alliance. Louise has been a school governor for eight years (vice-chair for four years) and has experience in working on committees and managing change. 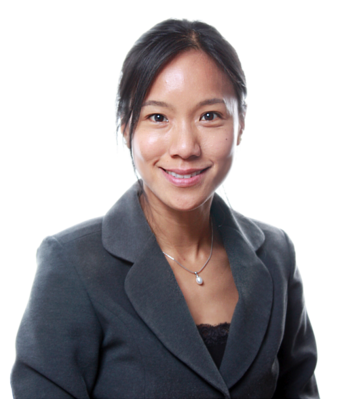 Dr Wong is a GP with a special interest in Sports and Musculoskeletal Medicine. She completed her medical training in Leicester and an MSc in Sports and Exercise Medicine at Nottingham University, obtaining a merit. She is a Partner in a practice in Loughborough and works as a Specialty Doctor in Sports and Exercise Medicine at Loughborough University. Dr Wong has a keen interest in education and is actively involved in teaching trainee doctors and medical students. In addition, she was involved in osteoarthritis research at the Rheumatology department in Nottingham City Hospital. She currently sits on the steering committee of the Primary Care Rheumatology Society, and is the Sports and Exercise Medicine Representative for the Royal College of General Practitioners. She is also a GP Champion in Physical Activity in the Midlands for Public Health England. Rob Yeldham joined the board in July 2016. He works as Director of Strategy, Policy & Engagement at the Chartered Society of Physiotherapy. 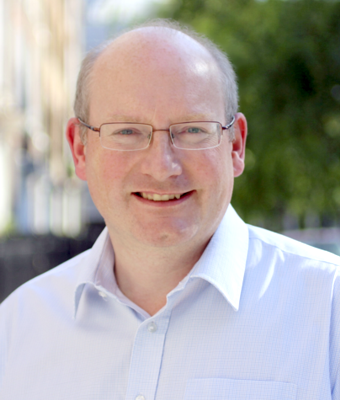 Rob is a chartered PR practitioner and has over 20 years’ experience of communications and stakeholder engagement. He has been a senior civil servant and worked in local government, politics and for not-for-profit organisations.